Developed in collaboration with The Publishers’ Association of South Africa and SA Booksellers Association, here is a guideline for lecturers, academics, faculty members, policy makers, education activists, funders and others in the Higher Education arena, on the value of the textbook industry in South Africa. Textbooks ensure that a certain standard of learning is guaranteed for students and academics, as there is a rigorous publishing process in place. Textbooks are written according to curricula in this country, by Southern African academics. 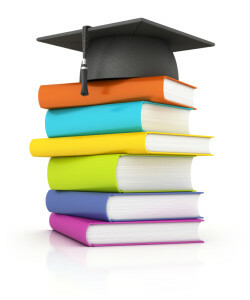 Where required, they are supported by textbooks sourced internationally. They include appropriate learning support, language levels, and opportunities to practice skills. Students – particularly those entering higher education from schools which gave unsatisfactory education – need support with literacy and study skills. Textbooks also provide students with appropriate perspectives and ways of thinking. They assist students to understand local and global perspectives. The guaranteed standard of textbooks also helps academics to ensure that they are teaching at the right standard or level. They support lecturers by ensuring that the content, data, reference material and applications are at the right level and standard. They create revenue for academics. They create capacity for academics to research and consult instead of preparing lectures and creating related materials themselves. What about Open Education Resources? Open Education Resources (OERs) are teaching, learning and research resources that reside in the public domain, or have been released under an IP license that permits their free use or repurposing by others. OERs include full courses, course materials, modules, textbooks, streaming videos, tests, software, or any other tools, materials or techniques used to support access to knowledge. We believe there are excellent OERs that can be used at a post-grad level and are often a source of material for research purposes. There is a place for OERs materials as a platform for research to be made available for debate and discussion. They may well serve as aids to a lecturer or student in addition to mediated content and pedagogy in the form of a textbook. They aren’t really free to all – OER materials aren’t free to produce. The curriculum content is not ring-fenced, nor is it guaranteed to be updated. Despite some high-quality publishing, many OERs have not been quality assured. Given the wide range of OER materials available, an uninformed individual is often not able to differentiate between what is considered good versus what is considered poor material. In South Africa, we have the added challenge that not all students have easy access to the web. Textbook publishers contribute to the delivery of education in the tertiary education sector, by publishing and selling local textbooks and distributing suitable imported textbooks and educational resources in South Africa. They serve as a key conduit to getting suitably vetted material published and made available to students. They provide the necessary support to lecturers and academics as part of the education value chain. In conclusion, textbooks, whether in print form or digital form – and written to support South African syllabi – are a valuable tool in the delivery of education to students. In a world of changing options, publishers and booksellers, the textbooks created and distributed are a vital part of the education chain in post-school Southern Africa.